Despite advances in our understanding of the molecular and genetic basis of pancreatic cancer, the disease remains a clinical challenge. Gemcitabine, the standard chemotherapy for pancreatic cancer, offers modest improvement of tumorrelated symptoms and marginal advantage of survival. New approaches, alone and in combination with gemcitabine, are being developed to combat this cancer. 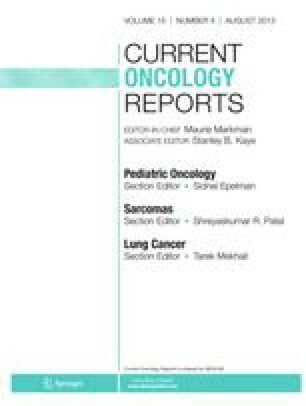 In this article we review the current status of investigations into several classes of agents: matrix metalloproteinase inhibitors; farnesyl transferase inhibitors; epidermal growth factor receptor inhibitors, including monoclonal antibodies and tyrosine kinase inhibitors; cyclooxygenase-2 inhibitors, and others. The scientific rationale, mechanism of action, and clinical trial data for these novel agents are discussed.